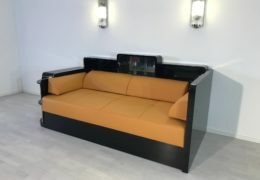 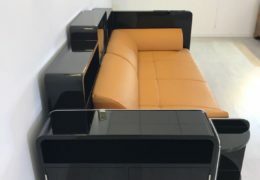 Today a magnificent item left our manufactory – a custom build (leather option) for a Berlin Hotel. 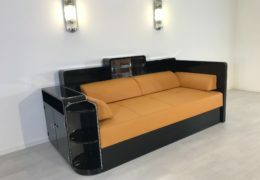 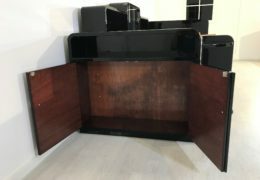 Art Deco Daybed, refined with high gloss black piano lacquer and fine chrome details. 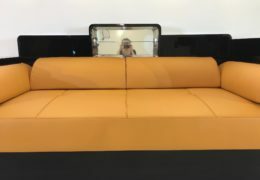 The leather was newly upholstered with a customized color – honey with contrasting seams and additional leather pillows. 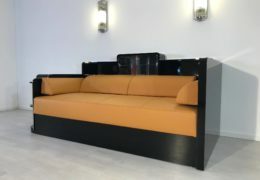 We like the combination, a wonderful and one of kind Daybed! 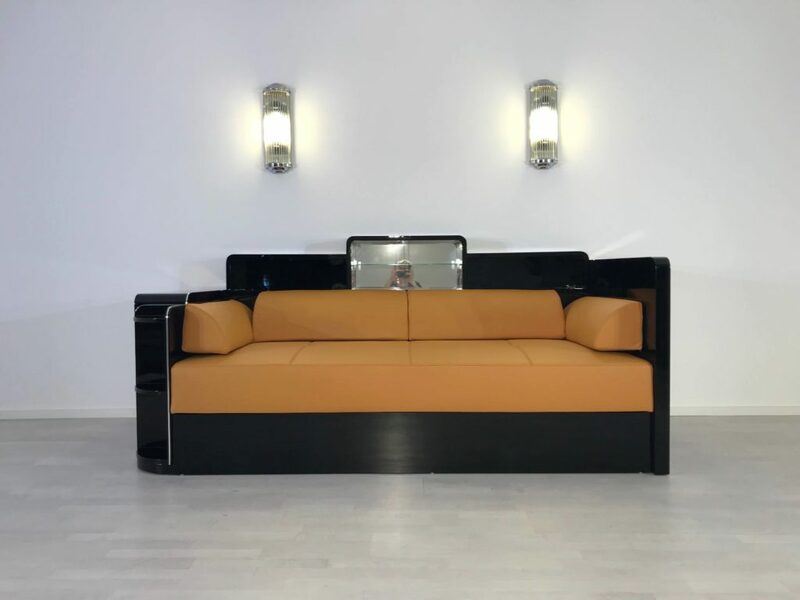 As always we do wish you a happy and relaxing weekend!